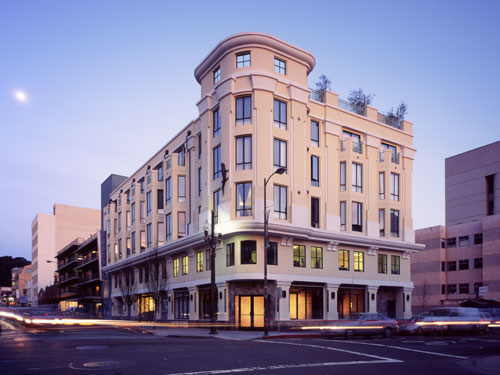 ARTech is a 21 unit mixed use project which includes 5,000 s.f. of second floor office space and a corner bistro on the ground floor. The site is on the corner of Milvia and Addison Streets in downtown Berkeley. This stretch of Addison street is the Arts District and the ARTech building will form the western anchor. We worked with five separate artists to incorporate public art into the building program. The public art includes; a decorative wrought iron garage gate, glass tile benches, slate murals, mosaic tile and a ten foot salamander climbing the tower. This project utilizes two level parking lifts in order to maximize the site. 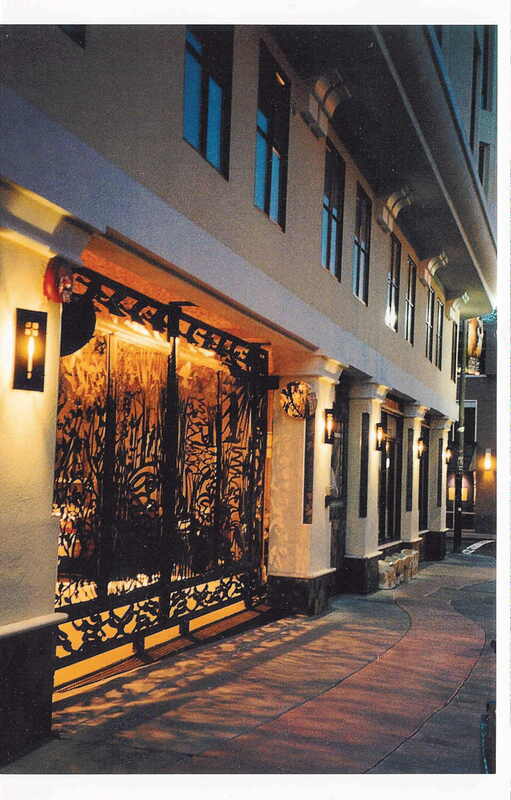 ARTech was awarded the “2002 Excellence in Design” by the Downtown Berkeley Association. ARTech was developed by Panoramic Interests.